Morning Man Encore: Mike Petri! I am completely hooked on Days of Our Lives again. 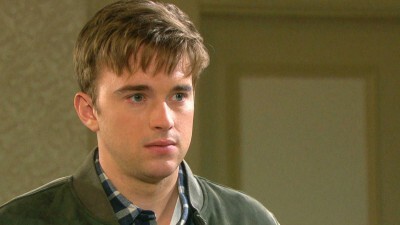 All it took was un-murdering Will Horton and bringing Chandler Massey back in the role. Will having no memory is brilliant because there’s so much to be played out and in these two most recent episodes, he has some deeply moving scenes with his uncle Eric and mother Sami. Meanwhile, you have a still shell-shocked Sonny being read the riot act by his uncle Vic who thinks his nephew has made a big mistake by breaking up with Paul because of Will. Uncle Vic tells it like it is! Celeb Instagram: Rosie & son! Betty Buckley & Mike C. Manning! James Vaughan! Feliciano Lopez!